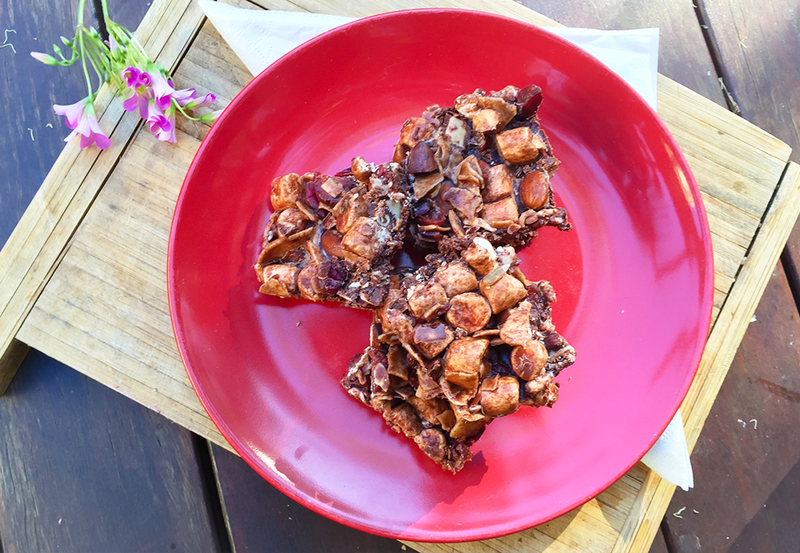 A simple and healthier version of Rocky Road that uses just a few ingredients. Rocky Road is one of my Mum's favourite sweet treats, so for Mother's Day this year I decided to make her a raw vegan version. 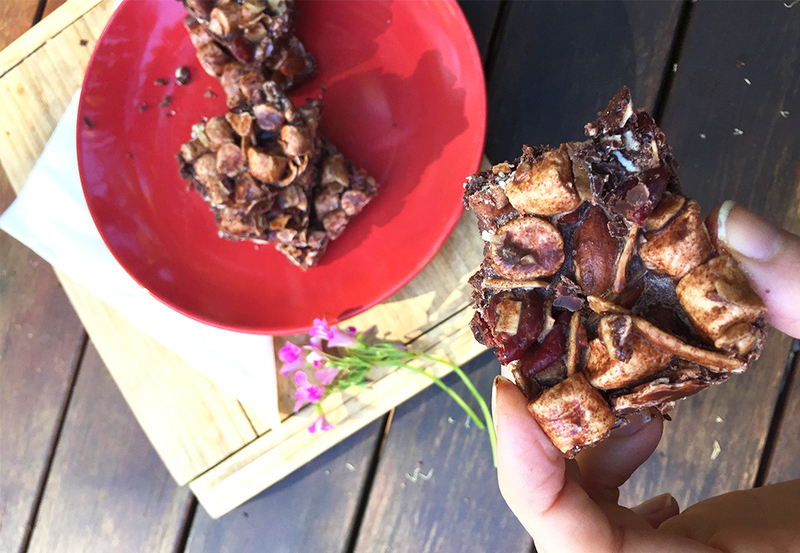 There's no refined sugar in this recipe either, so it's a healthier alternative to your regular ol' Rocky Road. The base for this recipe is a raw chocolate, made by mixing coconut oil and raw cocoa. To turn this into Rocky Road, I have added in marshmallows, some dried fruits for sweetness and nuts for added crunch. You can use any combo of dried fruits and nuts you like. I have gone for cranberries and almonds. Delicious! Leave a comment below if you try a different combination, I'd love to know how it works out. Enjoy! Add in the cocoa powder and sweetener to the melted coconut oil and mix it all together until smooth. It should resemble melted chocolate. Throw in the marshmallows, dried fruits and nuts, and stir through the chocolate mixture. Pour the rocky road mixture into a rectangular mould lined with backing paper (this will make it easier to remove later). Place in the freezer for 1 hour to set. Once the chocolate has hardened completely, remove it from the mould and cut it into squares. Store them in the fridge. Cattle pollute with their burping (seriously), so reducing your dairy products consumption can help cut CO2. But make sure you always watch your nutritional requirements too. Then join us in taking practical climate action to live better for us and for the planet.